Crysis 3 – a game we were waiting, probably more than any other winter projects, and finally it went on sale and immediately surpassed all expectations. Stunning graphics, interesting story about the emotional characters, powerful weapons and armor, excellent management system and a variety of battles await anyone who dares to set foot on the New York 2.0. Are you ready for this adventure? 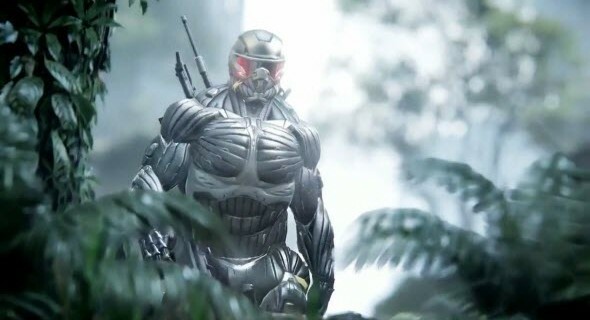 Crysis 3 story begins 24 years later after the events of the previous game. The protagonist here – we already know the Prophet, and his main opponent – Alpha Ceph – angry stranger who wants to enslave the remnants of humanity. However, along with the aliens as humanity itself is a threat, so that the Prophet would have to fight even with the corporation CELL, which is occupied by the insidious secret developers. Also important to the plot is the best friend of our hero with the great name of Psyche, who had once worn the nanosuit. For the first time in the game Crysis trilogy developers allowed characters to express emotions, so sometimes the storyline even seem dramatic. But make no mistake – after the script was never a strong point of Crysis. But what really strikes – is a graphic of the project. From the first moment of the plot and to the last shot of the final battle graphics look amazing. Fantastic New York City of the future, which is facing an urban beauty with lush jungle, where the grass grows right on the ruins of the former towers, and the sun pouring onto the streets of the ruined city, recreated surprisingly high quality. One gets the feeling that Crysis 3 – a game with the best graphics of all the currently known shooters. And the graphics looks great in any version of the game, whether it be Crysis 3 for PC, PS3 and Xbox360. Along with a great environment, our hero also looks attractive. Its stylish nanosuit – it’s not just clothing, it’s the perfect armor and powerful weapons. The developers have implemented new features to this already known to us a thing, so now Nanosuit no equal in characteristics. Interestingly, with it, you now will be able to reprogram any device that gets in your haze. To change the program or some devaysa tower will need to pass a mini-game that will greatly help you in battle, and will destroy the enemies almost without firing a shot. Nanosuit also allows you to be invisible and not to play a bloodthirsty shooter is a shooter with stealth-serious elements. But if you still want to kill, choose one of the weapons available in the game. We advise you to bow – the only weapons used that you remain invisible. For this purpose there is a restriction on the bow arrows, but each arrow is extremely powerful. Therefore, after you shoot the enemy, we recommend finding a corpse and take their ammo for the next battle. Another great boom – electric. After shooting her in the water, you can simultaneously kill multiple opponents. It is important that the equipment in the game is very easy to use. The control system was well thought out, so that the controller console, and with a mouse and keyboard, you’ll feel as if really were on the battlefield. Unfortunately, however, this is an amazing adventure will not last long – the single player campaign is the strength of 8 hours. However, after it you can play in multiplayer mode, which is also well done, interesting, varied, and includes a variety of modes. Crysis 3 – a game that is worthy of the highest ratings. Of course, there are some pros and cons, especially on the part of the plot and the length of a single game, but in spite of this graphic, the control system, the battles, weapons, and additional features of the game are absolutely stunning. At this time, Crytek jumped higher than his head. However, the developers will not be able to get all the money they expect, because, as it turned out, Crysis 3 very poor protection. During the first week after the game free download Crysis 3 managed about 70,000 gamers. We hope that despite the piracy, Crytek will be able to get your reward.